Reduced to rubble by the atomic bombing, Hiroshima City wrestled with the problem of stabilizing the lives of the people and reconstructing the city as quickly as possible. Government offices and citizens struggled to regain their footing. 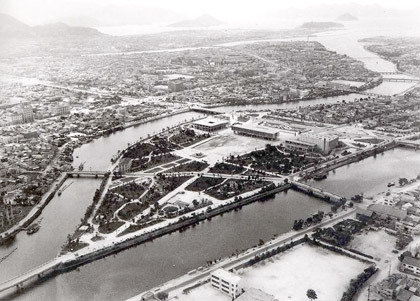 Out of their efforts rose the Peace Memorial City Construction Law, and "the Peace Memorial City Hiroshima" finally began to take shape.